To most of us, hot air ballooning is a leisure activity in which we will never partake, either for fear of heights, lack of opportunity, or sticker shock. With few exceptions, it’s generally viewed as a hobby or seasonal side business. But in the State of New Mexico, hot air ballooning has become a key contributor to state and local economies. This past weekend, I attended the Albuquerque International Balloon Fiesta, which boasts of being the world’s largest hot air balloon festival, most photographed event on Earth, and largest international event held in the U.S. The Fiesta is a nine-day spectacle each October in which the early-morning and evening New Mexico skies are filled with the brilliant colors (and shapes) of more than 500 balloons from over 20 countries and 40 states. Balloon Fiesta Park, from which the balloons launch, is a custom-designed, 365-acre park containing a 78-acre launch field (that’s 54 football fields, folks). In 2014, the Fiesta attracted nearly 850,000 visitors. Not surprisingly, perhaps, the Fiesta started out small, as many hobbies do. In 1972, a total of 13 balloons launched from a shopping mall parking lot in celebration of a local radio station’s 50th birthday. Today, the Fiesta is organized by Albuquerque International Balloon Fiesta, Inc., a 501(c)(3) non-profit organization with 12 full-time staff members. As a major tourist attraction, the Fiesta has a significant impact on the local and state economies. According to the 2011 Balloon Fiesta Economic Impact & Guest Research Study, the direct and indirect economic impact of the Fiesta in metro Albuquerque was in excess of $117 million, and it generated in excess of 1,600 full-time equivalent jobs and a payroll of nearly $22 million. Out-of-area attendees spent nearly $200 a day while visiting Albuquerque, with an average stay of 4.5 nights, and $9 million in state and local tax revenue was generated. Corporate support for the Fiesta comes from major corporations including Canon, Wells Fargo, Intel, Nikon, Pepsi, State Farm Insurance, and Walgreens. For the adventurous spectator, balloon rides are available during the Fiesta at the rate of $429 per person (landing site not guaranteed – during my stay, I heard of landings occurring on power lines, in swamps, and on area residents’ trucks). 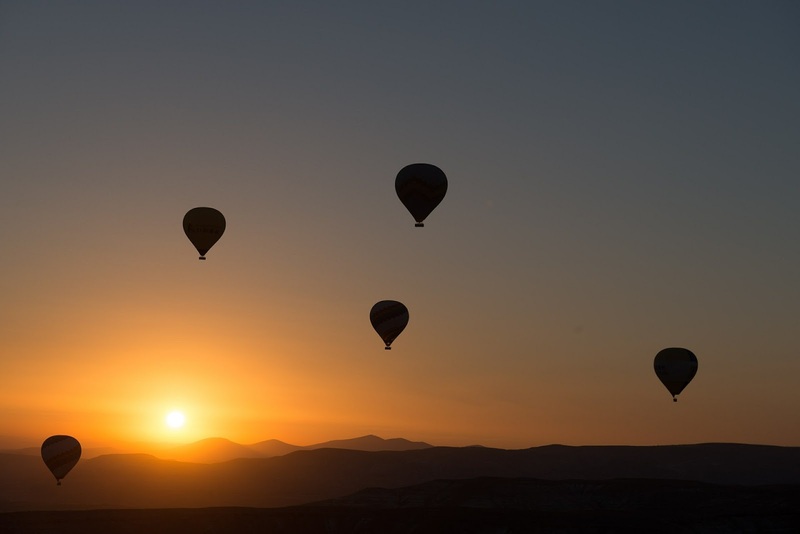 Without a doubt, there are many entrepreneurial-minded types who have found incredible success in the hot air ballooning industry as a result of the Fiesta and their passion for the activity. The national and international interest generated for the industry as a result of the Fiesta is without question, and its profitability for the City of Albuquerque and the State of New Mexico is remarkable. I am thankful so many worldwide engage in this hobby, and I encourage you to experience it for yourself at next year’s Fiesta. It is truly a sight unlike any other you will ever witness.